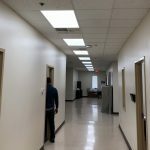 Florida Marine Tanks – GreenTech Solutions Group, LLC. 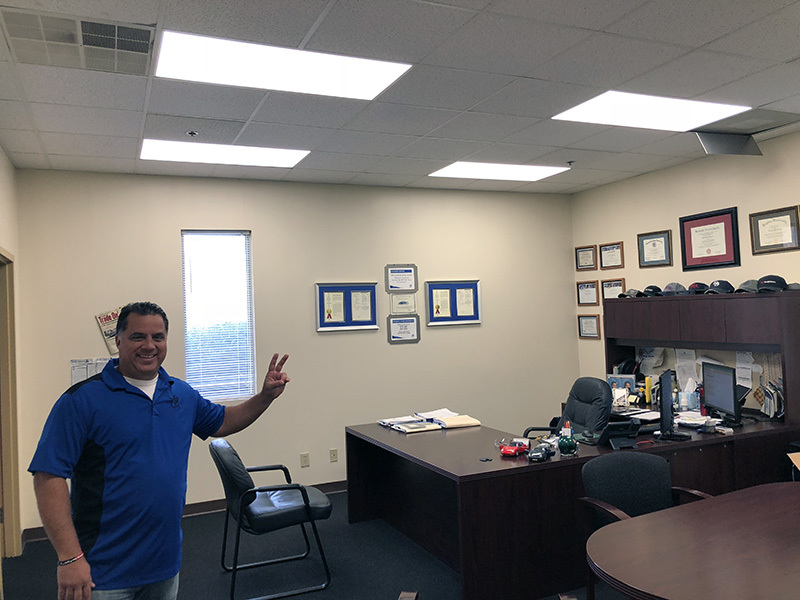 Florida Marine Tanks is an ABA and IBBI preferred aluminum tank supplier committed to provide the marine industry with the safest and highest quality fuel, water and holding tanks and manufactures out of their Henderson, NC facility. 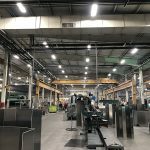 The facility is fully equipped for sheet metal fabrication from high quality aluminum and stainless steel. 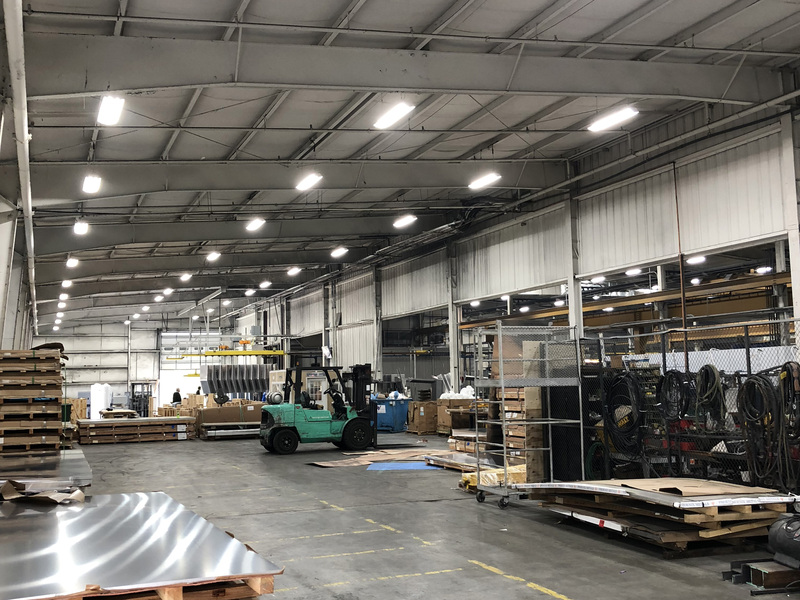 Florida Marine Tanks President Orestes Monterrey wanted to improve the lighting quality and efficiency of their 60,000-square foot facility in Henderson, NC. 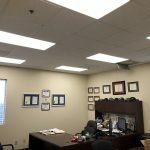 The goal was to make the work environment safer and more pleasant for employees, while reducing the company’s overall carbon footprint. 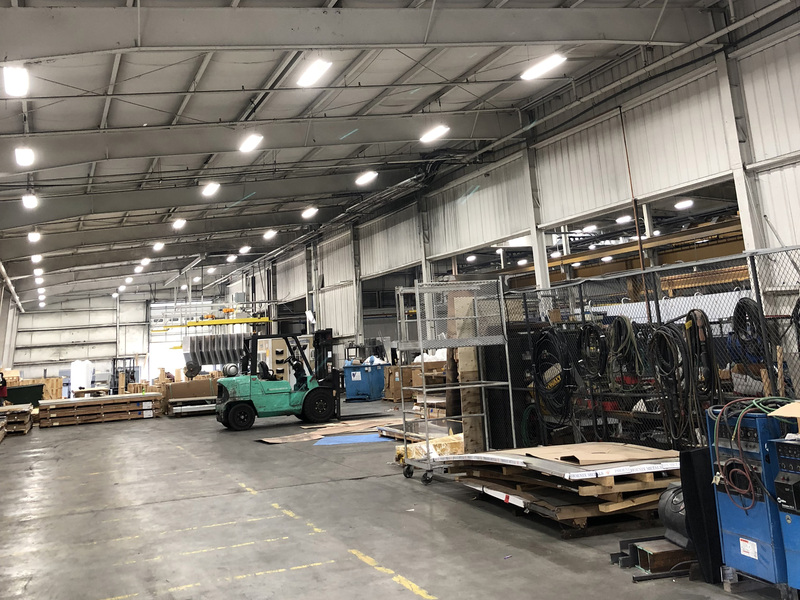 Monterey also wanted to ensure that production was not affected during the factory-wide LED upgrade. 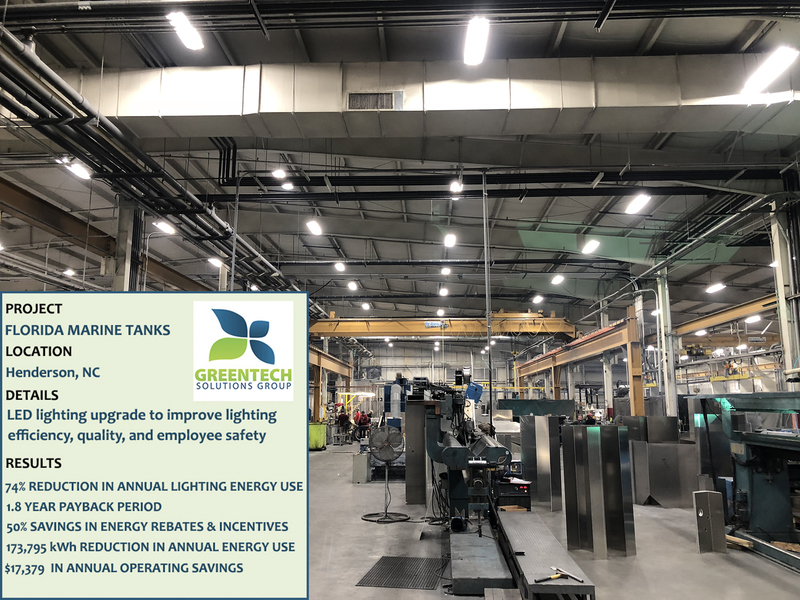 GreenTech conducted a comprehensive lighting audit of Florida Marine Tanks’ existing system and provided an in-depth analysis, forecasting the energy and maintenance savings that result from an upgrade to energy-efficient LED lighting. 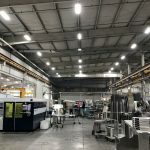 It provided recommendations on converting T12 strip fixtures and out-dated metal halide highbays to LED solutions in order to maximize critical production lighting. 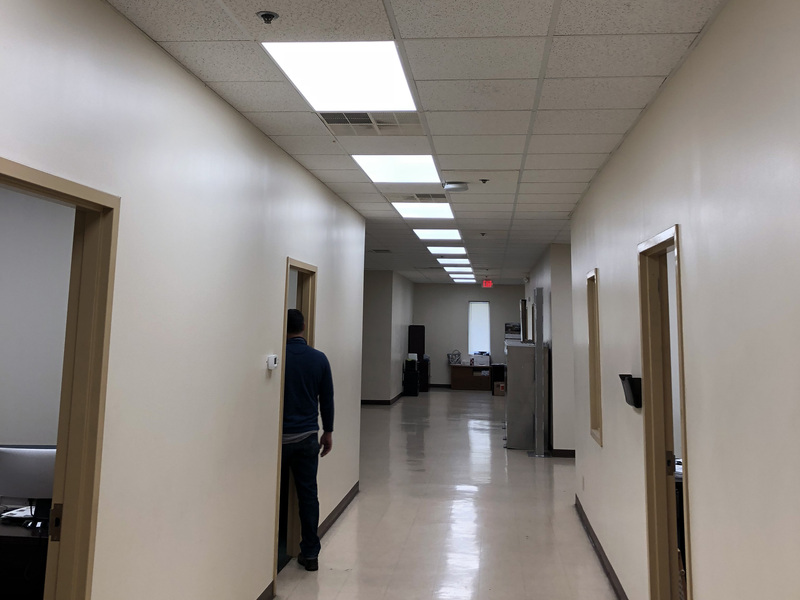 Lighting was also upgraded with dimmable LED panel lights throughout the offices, shops, workout area, and cafeteria that allowed for brighter and customized light levels as needed. 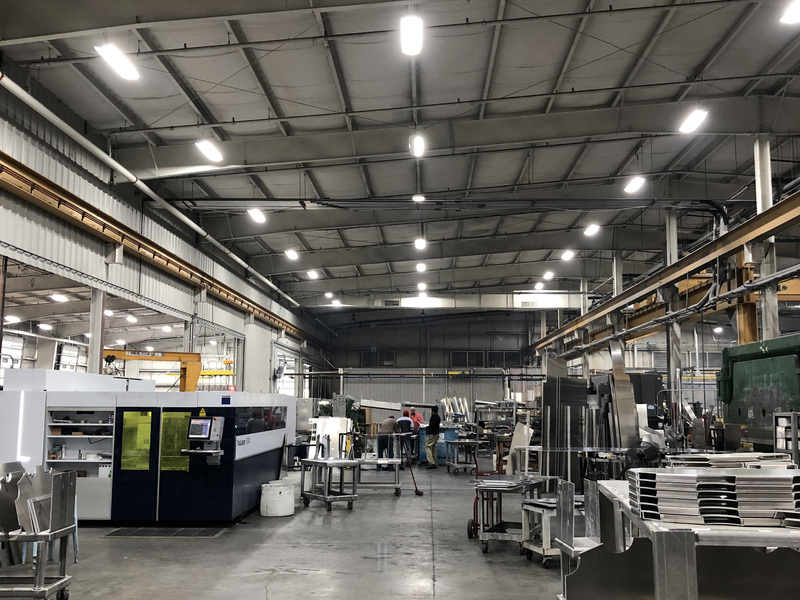 The complete LED lighting upgrade delivered a 74% reduction in annual lighting energy usage for Florida Marine Tanks for their manufacturing facility. 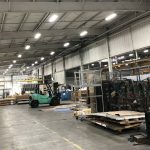 Greentech helped the company secure 50% cost savings in energy rebates and incentives for the retrofit, bringing a quick 1.8 year payback period. 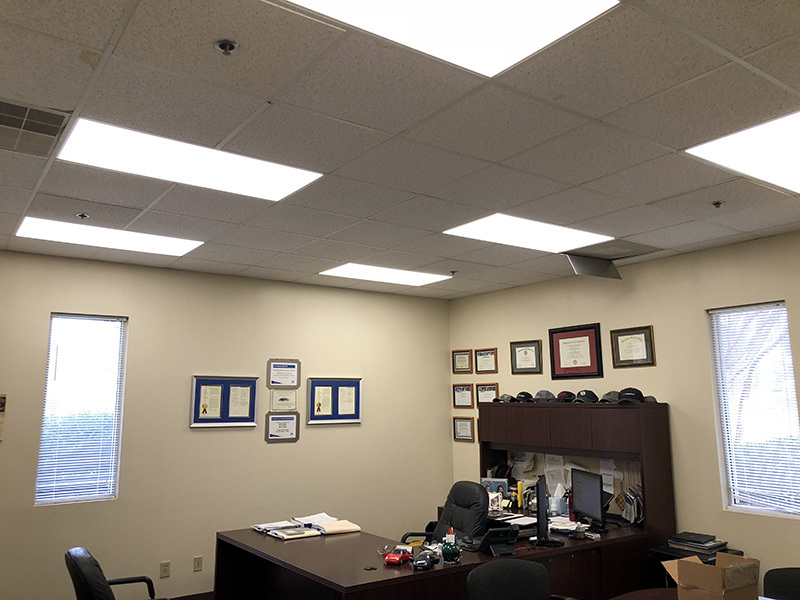 The LED upgrade resulted in dramatically better lighting quality that greatly helped to improve employee safety and increase productivity as well as producing a brighter atmosphere throughout the facility. 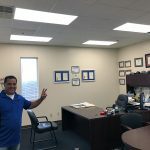 “From beginning to end GreenTech’s team was a pleasure to work with. Their crew was very efficient and professional. They were willing to work around our schedule to where our production didn’t get affected. 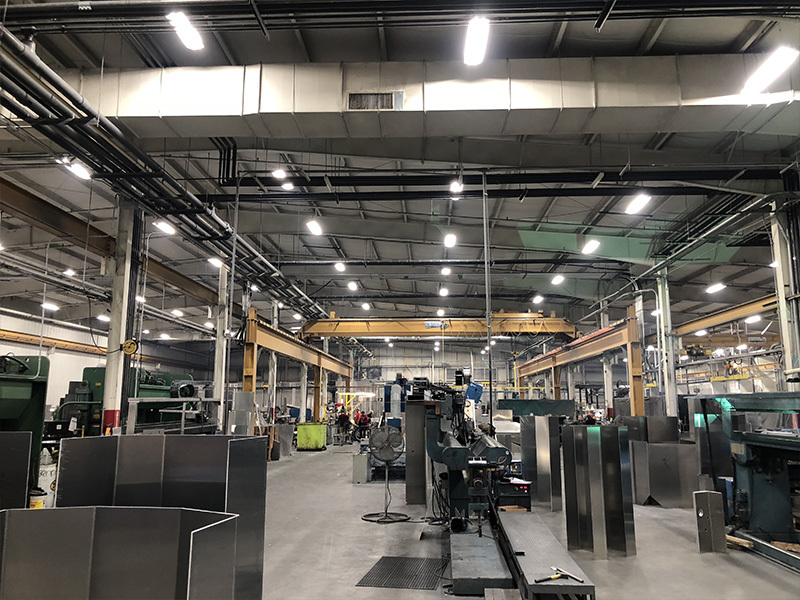 The final product exceeded our expectations, and our employees are more productive and most importantly are able to work in a safer environment,” said Monterrey.